Here are a few shots of guillemots taken at Staple Island, Inner Farne. 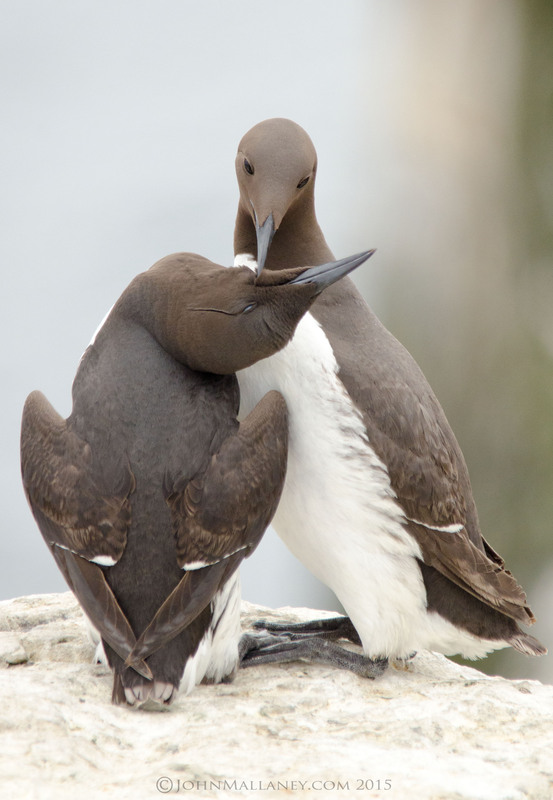 Guillemot style of course. Taken at the Staple Islands, Jun 15. I recently went on my first ever photographic trip to the Farne Islands which are located off the coast of Northumberland. The aim of the day was to view and photograph the annual event of numerous species of breeding sea birds, including puffins, razorbills and guillemots, which inhabit the islands during the summer months. I did not expect the trip to disappoint and I was proved correct; the noise and stench of tens of thousands of sea birds was chaotic and quite simply a spectacle to behold. Although much documented, an encounter with an arctic tern is both noisy and interesting – they will do anything to protect their chicks, and a peck on the head from what is quite a powerful beak requires the wearing of a hat. Notwithstanding this, the arctic terns are an elegant looking sea bird and appear quite angelic, particularly when in-flight.